Unravel the mysteries of a dying Earth in Tranzit, fight endless waves of zombies in Survival mode, or compete in the new 4z4 last-human-standing mode, Grief. It will download to Xbox One console. The Biggest Zombies Experience to Date. Includes Awakening DLC 1. HD TV and HDMI Cable connection may be required to play. 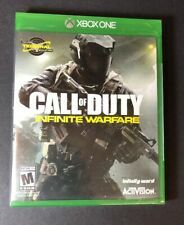 Used Call of Duty Infinite Warfare Legacy Pro Edition for Xbox One. Platform : Xbox One. greatest hits, platinum hits, or the player’s choice label. Condition : New. Playstation 3. Playstation 2. 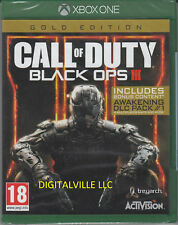 New ListingCall of Duty: Black Ops 3 III Zombie Chronicles Edition *New* (Xbox One, 2017) ! 4K: 4K Ultra HD. Experience classic Call of Duty combat, the bonds of camaraderie and the unforgiving nature of war against a global power throwing the world into tyranny. Xbox One X Enhanced: Enhanced features for Xbox One X subject to release of a content update. Call of Duty: Infinite Warfare for XBOX ONE; and. Call of Duty: Infinite Warfare Season Pass; and. Call of Duty : Modern Warfare Remastered DLC; and. We promise. Condition is Like New. Tons of Fun! 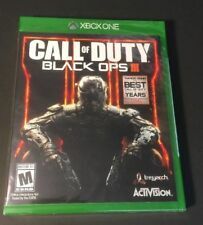 Call of Duty: Black Ops 3 III Zombie Chronicles Edition *New* (Xbox One, 2017). Condition is Brand New. Shipped with USPS First Class Package. Trending at C $33.30eBay determines this price through a machine-learned model of the product's sale prices within the last 90 days. New in box. Includes COD: WWII Exclusive Statue, Division Patches, Collectible Nazi Zombies, Bloodraven Sword Pin, Nazi Zombies Poster, XBOX ONE game. P/N: 88075. SKU: 88075. MPN: 88075. 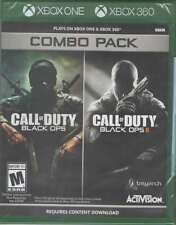 Call of Duty M XB1 Software. Manufacturer: Activision Blizzard. We may no longer be able to change or cancel your order. I will do my best to give you the answer you need. P/N: 88112. SKU: 88112. MPN: 88112. Call of Duty WWII XB1 Software. 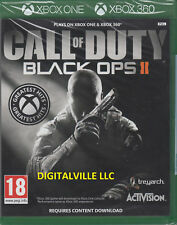 Manufacturer: Activision Blizzard. We may no longer be able to change or cancel your order. Collectible Nazi Zombies Bloodraven Sword pin. Call of Duty: WWII Exclusive Statue. Platform: Xbox One. Collectible Nazi Zombies Bloodraven Sword Pin. This is a very nice used Call of Duty Infinite Warfare: Legacy Pro Edition [Xbox One Collector Limited]. This is complete with the slipcover in the original cases. 5 out of 5 stars - Call of Duty WW2 WWII (Microsoft Xbox One, 2017)BRAND NEW! FACTORY SEALED! 382 product ratings382 product ratings - Call of Duty WW2 WWII (Microsoft Xbox One, 2017)BRAND NEW! FACTORY SEALED! Infinity Ward, the award-winning studio that helped create the Call of Duty® franchise, reaches new heights with Call of Duty: Infinite Warfare. XBOX ONE CALL OF DUTY: INFINITE WARFARE LEGACY PRO EDITION. We do not PLAY around with this claim -we take theft seriously. Call Of Duty World War 2 WWII WW2 (Xbox One, 2017) Complete. Condition is Good. Shipped with USPS First Class Package. Call of Duty World War II (Xbox One). Boots on The Ground Multiplayer: Call of Duty: WWII Multiplayer engages players in grounded, fast-paced combat across many of World War IIrsquos most iconic locations.